The high-end watch game continues to evolve for better and worse. This watch, might be in the latter category. 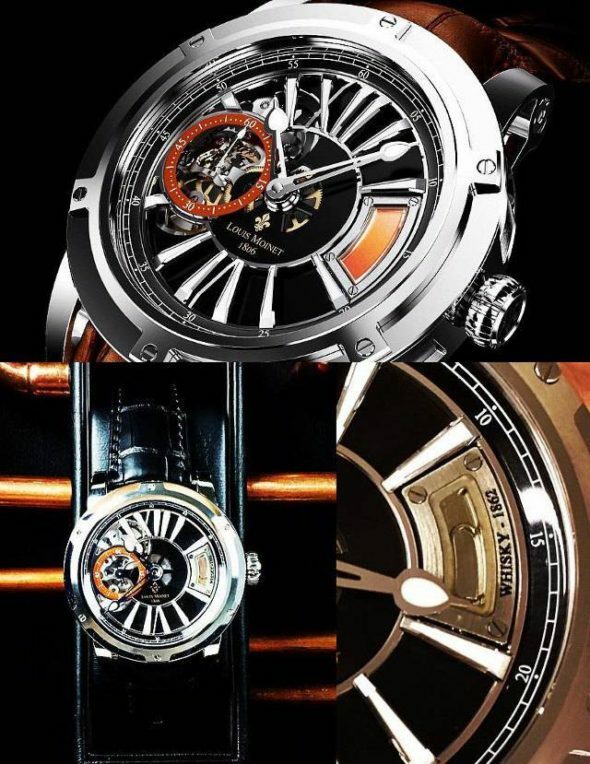 A Polish company called Wealth Solutions has come up with a line of watches named the Spirit Watches. Their plan is to partner with independent Swiss watchmakers with the differentiator being they will have a drop or two of rare alcoholic beverages inside. Huh? Their latest Spirit Watch is made by Louis Moinet and will hold one drop of the world’s oldest whiskey, Old Vatted Glenlivet 1862. They will be available for purchase starting April 8th for $45k and only 50 will be made. I am left scratching my head. What is the allure of having an old drop of whiskey inside of an overpriced watch?